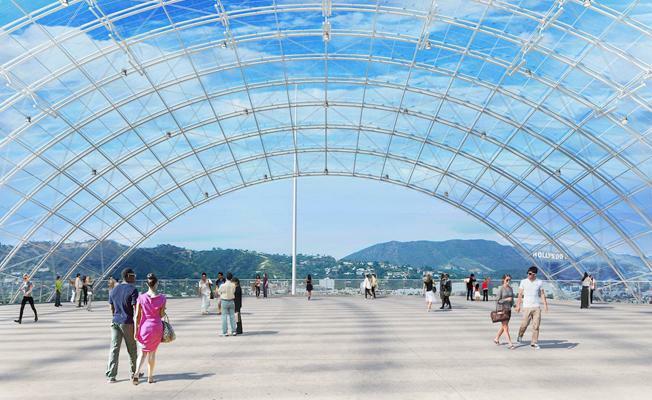 The creators of the Academy Museum of Motion Pictures revealed their architectural and cultural visions for uniting L.A. Renowned architect Renzo Piano and Academy Museum of Motion Pictures Director Kerry Brougher gathered for a lively Q&A at the Academy’s Goldwyn Theater, hosted by Academy governor Laura Dern. After Thursday’s announcement that the Academy Museum had passed $300 million in fundraising (about 80 percent of their goal, thanks to recent contributions from Bloomberg, Netflix, and the family foundations of Charles V. Roven and Thomas Spiegel), the discussion provided an overview of the architectural design and cultural vision for the museum, under construction at the corner of Fairfax and Wilshire, and scheduled to open in 2019. 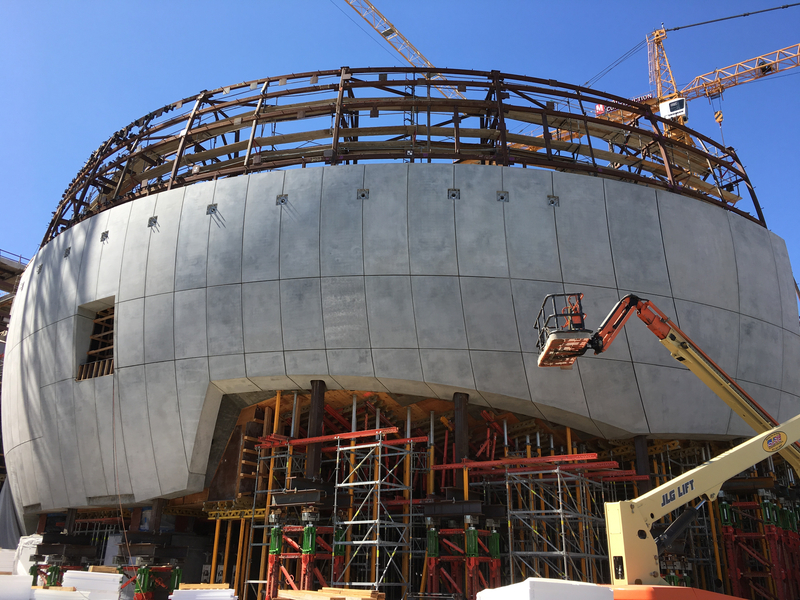 The museum, which celebrates Hollywood’s past, present, and future, consists of the six-story, 300,000 square-foot Saban building (formerly the legendary May Co. department store) and an adjoining 1,000-seat spherical theater. Piano called the Saban and its adjoining giant white spherical theater as “a beautiful old lady” and “a gentle monster.” Together, his hope is that they will galvanize movie lovers, and attract up to 5,000 people on a Saturday. 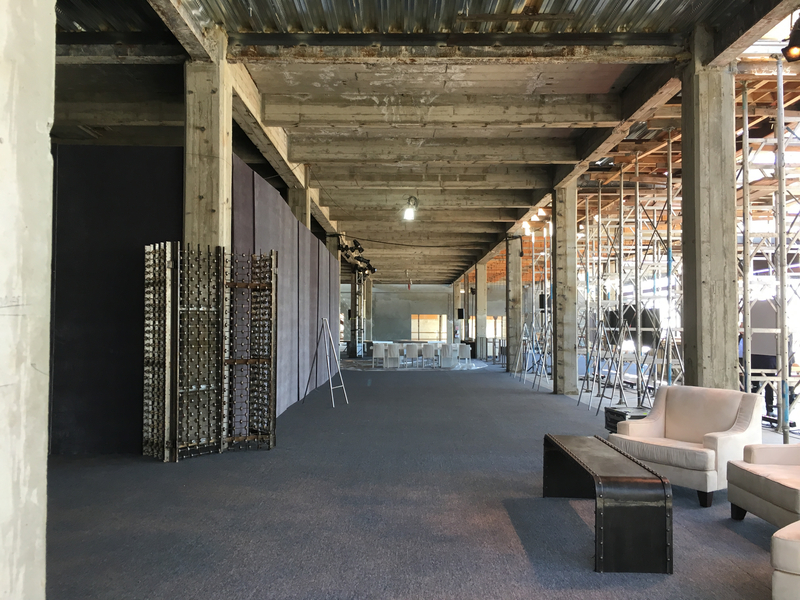 “When you are in the Saban building and you look north at the sphere theater, you see people moving against the light…and it’s like a little town,” added Piano. The construction workers continue to build the piazza’s massive dome. 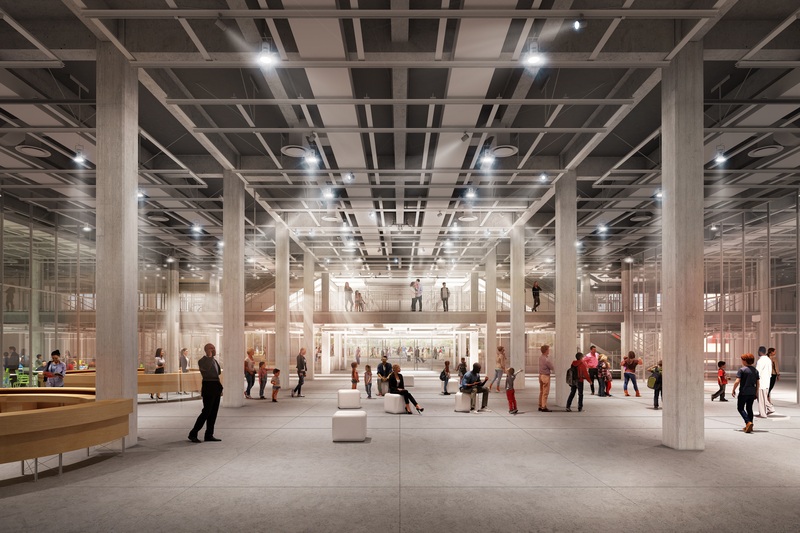 A rendering of the lobby inside what is now the museum’s Saban building. 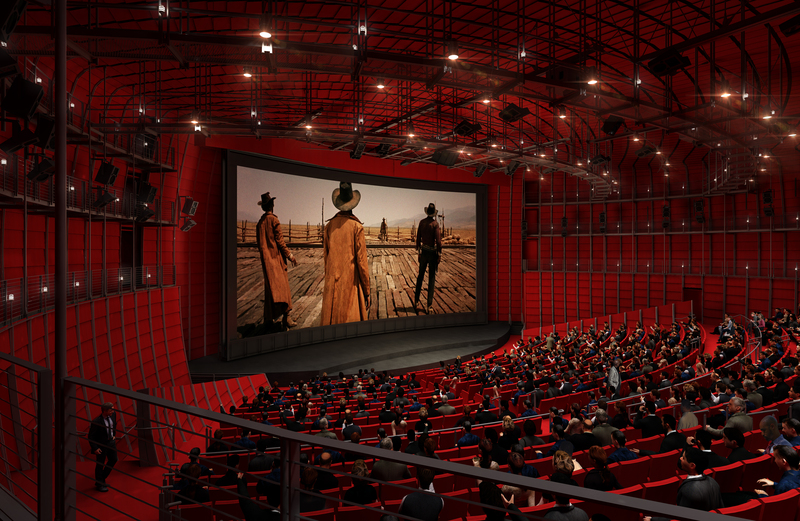 An official rendering of the Academy’s 1,000-seat theater. “The most important thing is that you meet other people and stay together,” said Piano. “And this is the beginning of something magic that is called ‘urbanism.’ For me, architecture is, of course, the art of making well-crafted buildings, for sure, but it’s also the art of making better people. So this is something that I believe cinema will do. Instead of being sure of yourself, you become more subtle and curious, and curiosity is the culture of life. So that is the reason why you build a building like this for the ages. You make it for 5,000 years. Why not in Los Angeles? Sign Up Stay on top of the latest breaking film and TV news! Sign up for our Email Newsletters here.